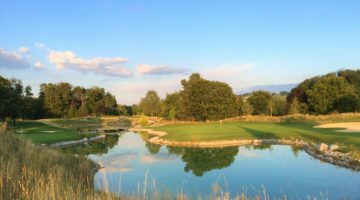 This 18-hole course in Saint-Blaise, an agricultural region of the Canton of Neuchâtel, integrates perfectly with the surrounding countryside. The numerous trees that provide a welcome shade in the summer transform into beautiful splashes of colour when autumn comes round. At some 6,470 yards, the course is not especially long, but the wise golfer will need to take account of the assortment of difficulties dotted along the way. Sloping fairways, trees, strategically-placed bunkers and out-of-bounds areas all offer a challenge for golfers regardless of skill levels. 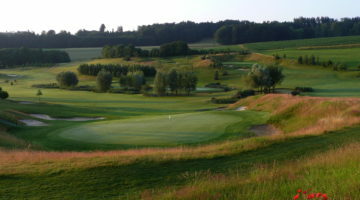 Come and be inspired with a relaxing round of golf at the Neuchâtel Golf & Country Club. Driving range, putting green, chipping- and pitching- area. 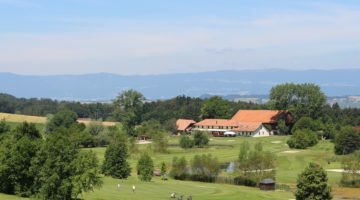 Members of ASG Clubs, members of international recognized clubs/ associations, ASGI-, GolfCard Migros-Members wit Course Permission are welcome from Monday to Sunday. Members of FFG, who resident in Switzerland, are only accompanied by a club member allowed to play on weekends.